Welcome to the second chapter of my confessions. I hope you are learning with me, as I share my darkest hot tub secrets with you all. If you remember, in my previous post, I talked about plugging my hot tub straight into an outlet to avoid using an extension cord as well as using the right amount of chemicals to balance the water. Basically, don’t get so excited trying to decide where you will place your spa that you forget to look for the nearest plug. Also I learned to follow the instructions, not your instincts, when adding chemicals to balance your water. My set up is almost complete! Join me on the rest of my adventure as a first-time hot tub owner. After my spa was filled up, plugged in, and the water was perfectly balanced, I was finally ready to start soaking. So, I broke out my bathing suit and towel, queued up my favorite playlist for ambience and made my way out to the hot tub. The water had been warming up all night, and I made certain to put the cover on to keep the heat trapped inside. Now all I had to do was remove the cover to hop in. That was the exact moment I realized I had forgotten one small but important detail. I forgot to install my cover lifter while my spa was empty. It’s not the worst mistake in the world. I knew I could figure out how to remove the cover myself without the aid of a lifter. I just wish I had remembered to install it before filling my tub with water because a cover lifter is like a handle for the spa cover, making it so much easier to remove the cover each time I want to soak. Plus, it keeps the cover protected from the ground, dirt and other damage. For now, though, I’ll just look like a maniac trying to remove the cover by myself without the help of a lifter. With all that lifting required, I experienced first-hand why we recommend installing the cover lifter while the spa is empty. I know I have mentioned previously how strong I am, but lifting a filled hot tub requires another level of strength that I do not have. I’ll save this step for the next time I drain my tub’s water. Check out this video on how to install you cover lifter. One thing I love about my Freeflow Cascina is that it comes with a digital control panel to navigate through filter modes and other settings like jets and lights. It’s super simple to use. I can change everything with the touch of a button, and it’s easy to access from inside or outside of the spa. However, when I used my hot tub for the first time, I realized that I didn’t really know what each of the settings on the control panel did. Which mode should I really leave my spa in? How does the Ozone work again? I had so many questions. I knew the basics of the control panel from running photoshoots: on/off, temperature adjustments, light options, and so on. If you have no idea what the basics are or if you need a quick refresher, watch this quick video. I won’t judge you, obviously. Now that I own a hot tub, I felt that I really should know about filter modes, cycles and how to program them. Remember me talking about having 100 things to do? Well, “ain’t nobody got time for that” (and walks away). Dramatic stunts aside, it really is quite simple once you know what each option on the control panel is. Here is another quick and awesome video clarifying how to master your control panel. So far, I have only left my I Cascina Spa on Standard mode, where my hot tub just monitors itself and maintains that set temperature, and the Night Time mode in the evening, where my spa doesn’t run while I’m trying to sleep. 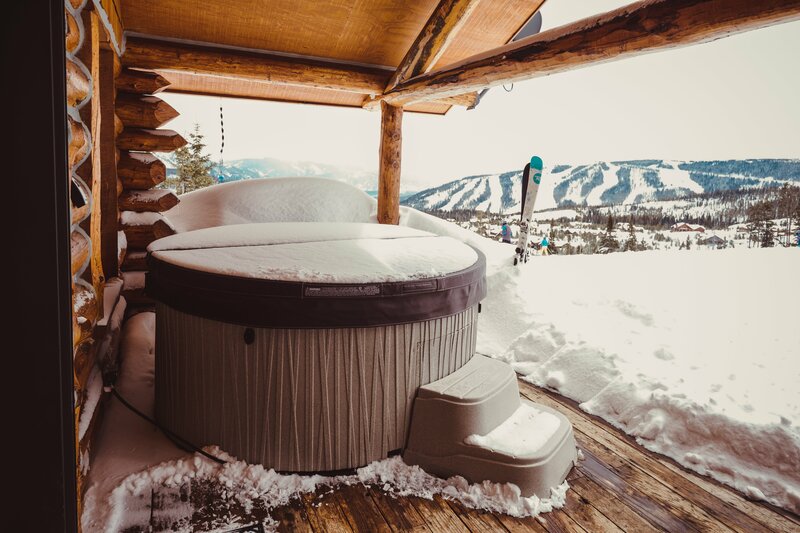 When I travel, I plan on putting it on Economy mode so that the hot tub will maintain itself, only running once per day, saving my energy bill when I’m not around to enjoy it. By the way, I was thrilled when I got my first energy bill because my new hot tub only added about $12. Plus, it was a particularly warm month, so some of that might actually have been unexpected air conditioning use, too. Great for our wallets! My lesson learned here is: don’t freak out. Everything that is new can be a bit scary at first, but investing some time in mastering your new product will save you tons of time.